Somewhere along the line I heard that if you want to get better in your field of expertise you should study what experts in other related fields do to see if there is anything you can learn and apply. So if throwing a baseball really hard is my field of expertise than I should look at other sports where they throw as hard as they can. That’s when I started to look at track and field throwing events. A sport where the determining factor between winning and losing is by far you can throw seems like something worth looking into. The shot put is where I’m gonna start because much like pitchers these athletes are confined to a small area and a stationary start. The amount of force these guys can generate in this small amount of space and time makes them some of most powerful athletes in the world. And who couldn’t stand to use a little bit more power in their game? #2 – The weight of the object thrown. To get an idea of the “strike zone” that a shot putter has to work with go throw a baseball from home plate and just try to keep the ball in fair territory. Pretty easy huh?? Accuracy is a vital skill a pitcher needs to be successful at any level. But unless you have the ability to throw hard it is very difficult to reach the higher levels of baseball where pitch velocity is of the utmost importance. In his book the “Complete Guide to Developing Pitchers” Derek Johnson, former pitching coach at Vanderbilt and now the pitching coordinator for the Cubs, makes the distinction between skills and abilities. 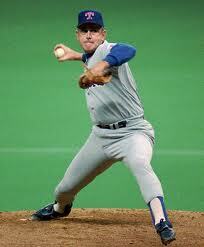 The abilities are about the pure physical capability to throw a baseball while skill is more about the pitching. To give you a real world example look at two pitchers on the Cincinnati Reds pitching staff. 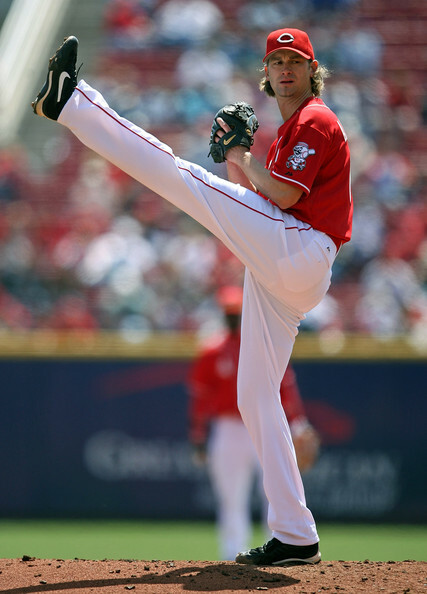 Bronson Arroyo and his 65 mph curve ball has tons of movement which he can locate with precision. His high level skill has allowed him to succeed without having as much ability compared to other major league pitches. Keep in mind he can still hit 90mph on a good day. 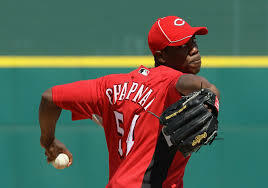 Aroldis Chapman can come in and lean solely on his ability to throw 100 mph do alright. While he does possess pitching skills he doesn’t need to paint the outside corner with a change-up on a consistent basis to stay at the big league level. Track and Field in general places a huge emphasis on developing physical abilities and because of that these coaches and athletes have spent a ton of time studying and perfecting the bio-mechanics and training methods that produce victories. As a result the work of great track and field coaches like Dan Pfaff, Charlie Francis and Anatoliy Bondarchuk has influenced the strength and conditioning community to a great extent because their jobs are all about creating athletes with all sorts of physical abilities. The skill component that shot putters work on at practice everyday is their ability to consistently produce a flawless delivery by sequencing together all the moving parts of the body for optimal power delivery into the shot. Sounds like a good use of time at practice for a pitcher doesn’t it? In order to throw something you need to produce power by combining force (a.k.a strength) and velocity (a.k.a speed). What determines the individual contribution of force compared to velocity is namely the weight of whatever you’re trying to throw. 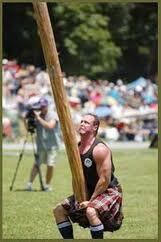 Lighter objects need lots of speed to produce power while heavy objects require more force. Since the baseball is only 5 ounces you really need to produce a lot of speed and that’s when physical traits like long limbs, big ranges of motions and efficient stretch shortening cycles (elasticity) help create the speed needed to succeed. This is the reason that tall guys who don’t have much muscle mass can still throw really hard. These traits become less of advantage and in some cases become a disadvantage the further you move to the force side of the curve. The fact that the shot put is about 50 times as heavy as a baseball means that Chris Sale won’t be winning many shot put competitions. With that being said I think it is these types of pitchers that stand to gain the most from learning how to be stronger because any increase in the amount of force they can produce will help them gain further advantages from their leverage, elasticity and mobility. So now that we have pointed out a couple of the obvious differences lets look at how they are similar to see if there is anything we can take away and apply to baseball. 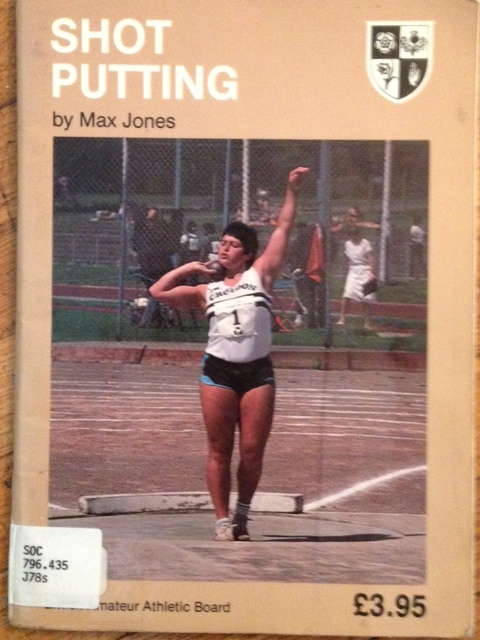 The only book I have read about Shot Putting is actually called “Shot Putting” by Max Jones and was published in 1987 and is only 50 pages with tons of pictures, my kind of book. So needless to say that I am no expert on Shot Putting but when I read Max Jones’ ” 7 Keys to Good Throwing” I knew there was going to be a lot of carryover. Here are those 7 keys with coach Jones’ descriptions. Balance: No matter how strong and explosive an athlete is he will not be able to express this force if he is unbalanced. Balance must first be achieved at the back of the circle and again in the power position. 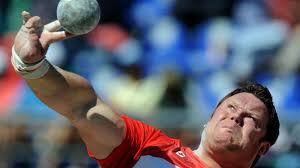 Acceleration: the thrower must aim to go from SLOW to FAST – starting the throw slow finishing it fast. Rhythm – Start slow, finish fast with slow acceleration into the power position, a slight subsidence of overall speed, then a rapid acceleration during the putting action. This rhythm comes with practice and must be felt if success is to be achieved. Legs Dominant – the throw is dominated and dictated by the legs. The legs/feet dictate the speed, rhythm and timing of the throw and provide the majority of the impulse. If the legs are right, it will almost certainly follow that the whole throw will be right. Range – The thrower’s force must be applied over as great a range as possible taking into consideration the athlete’s strength and mobility. Left Side Brace (for right handed thrower’s) – The final throwing action must be performed against an erect, braced left side, so that the right side of the body can work against it. Relaxation – The athlete must aim to relax during phases of the throw from which explosive movements can effectively develop. Long throws cannot be forced. Sounds like pitching doesn’t it?? Here are some other highlights that I got from this book along my thoughts on each subject. Both pitching and the shot put don’t have the benefit of a run up phase to generate a high amount of linear momentum, they both start from a stand still. Despite this confined space coach Jones placed a strong emphasis on a controlled acceleration starting with the slow initiation of the movement with the lower body to the fast throwing action of the arm. Too often I see pitcher’s rush towards the plate and as a result they miss out on muscular power that could have been applied to the baseball with better tempo and rhythm. In a video I watched with coach Brent Strom, pitching coordinator for the St. Louis Cardinals, mention the idea of breaking out a metronome in the bullpen to teach rhythm and tempo. We call upon the big muscles of our legs and hips to start the movement, these muscles are designed to move large amounts of weight slowly. The “slowly” is just slow compared to the faster actions of the upper body which move at a faster pace because of the momentum that the lower half has already initiated coupled with the fact that the upper body doesn’t have as much weight to move. This smooth acceleration through proper sequencing finishes with the arm going “fast and last” – a term I got from this book and one that I have already been using on a regular basis. How you “slowly” load up the lower body (the back leg) depends on your levels of strength and your ability to store and release elastic energy. If you can store and release elastic energy in a very efficient manner I would call you “springy” which is by no means a technical term but it is still a very important distinction. Pitchers with strong tree trunk legs typically benefit from a slower loading of the back leg and hip which allows them to create more muscular force. Muscles take time to create force so the more time you provide the more energy you can get. If you are a springy guy (good at storing and releasing elastic energy) you might be better off doing a quick load and unloading of the knee & hip with very little flexion in order to get the most out of the stretch reflex. Check out the back legs of Chris Sale (elastic energy) compared to Matt Harvey and his deeper flexion at the knee. These two types of power are not exclusive from one another. Every pitcher needs both elastic energy and muscular force from the lower body you just need to find out what which combination of these two gives you the most power. This is a topic for another post altogether but to see what kind of loading you might benefit from try measuring your lateral jump. First do it with a slower and deliberate loading phase and the next time use a quick and short loading phase before jumping. See which one is better and you’re on the right track. Remember this lateral jump score has been scientifically proven to predict throwing velocity (Lehman et al. 2013). I had to reference it sorry. Since I’m a little rusty with my physics I went to wikipedia to get a better definition of impulse. In our case the “body being acted upon by a force” is the baseball that we are trying to throw and change its momentum from resting in our hand to traveling at a very fast pace by the hitter and into the catcher’s mitt. The force that creates this change of momentum to the baseball is a result of your muscles, your levers, your tendons and your ability to sequences everything together (mechanics). This means that improving either our ability to improve FORCE and/or TIME to create more IMPULSE would be a good thing. The “Time” part of the equation can be thought of as optimal mechanics. The longer you can hold onto that ball the more force can be transferred to that ball. Muscle force takes time to build up so the more TIME you have the more force you can build up. The problem with most pitchers that have the ability to increase the amount of time they hold onto the ball is that they aren’t very strong in the first place which makes it impossible to apply force that you don’t have. This is bang on and clearly depicts the reason why coaches should not employ a “one size fits all” approach to teaching pitching mechanics. When word came out that Tim Lincecum had a stride length that was 125% of his body weight everyone tried to get out as far as they could. If you don’t have enough mobility and strength you can’t harness the added benefits of a longer stride length and as a result you end up throwing slower. 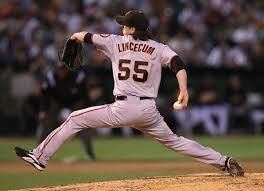 The two sources of energy a pitcher has to draw from in order to throw hard are rotational and linear power. Some guys lean on one source more than the other and the really good guys can use both and marry them together and throw gas. These two energy sources have also created a bit of a controversy over which one is better suited for performance and injury prevention. This whole rotational vs. linear debate is why I looked into the throwing events in the first place. If we have a bit of controversy of which is better then I can only imagine that its a point of debate in the shot put world since there are two distinct techniques. You guessed it rotational and linear. They call it the spin vs. the glide. There’s obviously rotation in the linear style and linear power in the rotational style but each shot put athlete must determine which style suits them best. How do they know what’s the best technique for them? I don’t know for sure but I think that the immediate feed back they receive every time they throw by measuring the distance would be a pretty good indicator as to which technique their gonna use. Baseball players can’t do this unless they use a radar gun which for most isn’t feasible nor smart. So begs the question of which style is best for pitching? In a perfect world the strength and pitching coach must look at each athlete individually to determine what pitching “style” is going to work best based on that athlete’s level of both skill and ability. The amount of impulse or momentum you can create is very important but so is the skill component in respect to pitch location and type. If you can throw with more movement and location (skills) with a more rotational dominant style that might outweigh the possibility of more velocity (abilities) with a more linear dominant style. With all these different factors it makes it more difficult to figure what style suits each pitcher individually. This rotational vs. linear debate is worthy of its own article plus this one is getting long enough not to mention that I still have to write about the other throwing events. I hope that this article has provided you some thoughts and ideas and I would love to hear from you and build on this topic. Great article! Totally makes sense. All this information meshes nicely with your thesis! Thanks a lot! really enjoyed reading about these concepts Graeme. Great article!!! I love examining other sports to see where knowledge and performance can be garnered. I believe rotation power is something often neglected for many athletes, which is surprising considering how many sports require elite levels of rotation power. We can chat about this at some point :)…I know I have some ideas, but reading your blog I’m sure I could learn a lot. All this said, I really appreciate the blog post and how you’ve exploring the world of track and field to enhance throwing velocity. As you’ve pointed out, there are uncanny similarities. THANKS!!! Outstanding article!! 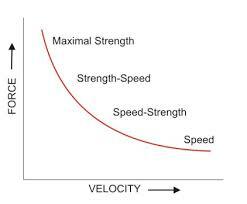 Relative to creating force & velocity( which is a small part of effective PITCHING) I tend to feel that you build momentum in the early stages of the summation of force curve as long as you are in sync. Too slow & you do not reach maximum speed at the distal end & too fast you are at risk of being out of control & out of sync & unable to efficiently connect the elements of the kinetic chain. With that in mind I prefer a faster delivery tempo with more intent early in the delivery process & work back.to a more controlled approach if necessary. I think that the “turn it loose mother goose” tempo serves the young throwers better than the “nice & easy, just hit your target approach.” Pitching is both aggression & finesse. IMO the young guys need to learn how to throw efficiently & aggressively before they learn how to pitch. 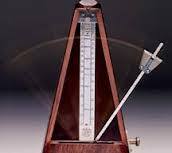 Obviously the more physically mature & experienced pitchers will adjust their tempo based on their physical skill set. With all that being said, end game success in many instances is more about location, contrast & movement than top end velocity.